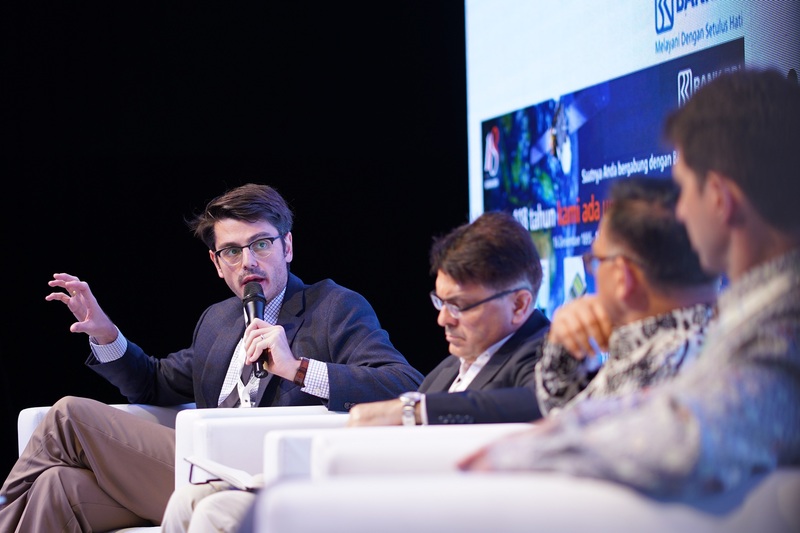 The Indonesia Digital Economy Summit 2018 came to successful conclusion, alongside with the Indonesia’s premiere exhibition on digital technologies, NXT Indonesia, Communic Indonesia & Broadcast Indonesia 2018, at JIExpo Kemayoran Jakarta on October 26th, 2018. This annual summit of high-technology and digitalization gathered over 336 tech professionals, analyst, and industry experts, to outperform high-technology skillsets addressed by over 51 leading minds in the industry. NXT Indonesia, Communic Indonesia & Broadcast Indonesia 2018 have attracted over 3,500 trade visitors during the 3-day expo. They assemble to witness technological breakthroughs in broadcasting, entertainment, media, and information & communication technology (ICT) by 127 exhibiting companies from 27 countries. “We have seen this conference continue to expand as association leaders consistently integrate new technology and innovation to achieve new digital economy 4.0. This year, we gathered extended numbers of technology and telecommunication executives to formulate solution for major shift in workforce and digital literacy, as the biggest digitalization challenges in Indonesia,” said Ben Wong, Managing Director of Pamerindo Indonesia, as organizer of the exhibitions. Indonesia’s digital landscape has significantly grown in recent years. It ranges from increased use of big data and mobile internet, to the unprecedented growth of e-commerce and digital financial services. According to a research by McKinsey&Company, a retailer using big data to the fullest could increase its operating margin by more than 60%. Big data platforms can predict what individual thinks and needs, resulted in data product innovation for retailers, such as specific product recommendation, virtual buying assistant, and forecasting method. Such topics were presented at the summit by Youssef Ouyhya, Vice President of Data of Tokopedia, during his speech on how big data can drive a digital innovation. However, there are challenges that cause 60% of big data projects fail, such as expertise gap and big investment. During his session, Youssef also stated that despite of having solid data strategies, people need to advance digital literacy to optimize big data and IoT for sustainable business. To overcome digital illiteracy among young people, Tom V. Vrghese, Manager of Access and Connectivity Policy of Facebook Asia Pacific, explained some of Facebook’s efforts at the summit session about digital infrastructure. One of which is developing Digital Literacy Program, consisting of 100 workshops in 100 schools of 7 cities in Indonesia to reach out nearly 12,5 thousand of offline communities.